Operations Research (OR) is an on-ramp for organizations looking to embrace digital transformation with data analytics. Since OR is one of those terms that gets bantered around without a clear explanation of the science and algorithms behind it, I thought it would be helpful to shed more light on this concept and to outline best practices for organizations looking to transform. But first, what is OR? Operations Research is the discipline of applying advanced analytical methods to inform better decisions, primarily to optimize organizational operations through a scientific methodology. OR gives leaders of organizations the power to make more effective decisions and build more productive systems through data, prediction, risk estimation and the latest decision tools and techniques. OR, specifically in the areas of data science and machine learning, is essential to the future of businesses under increasing pressured to operate in a digital environment. The ability to analyze data and optimize operations, services, and strategies is paramount. Optimization has two flavors—the yin and yang of optimal performance—minimization and maximization. Minimization might focus on risk, costs, losses, or attrition. Maximization might focus on revenues, profits, customer loyalty, or social sentiment. As in any such balancing act, there are competing factors. For example, can you achieve both optimal efficiency (getting the same output in minimum time) and optimal effectiveness (getting maximum output in the same time)? These decision curves (which are actually decision surfaces) are much like the common supply and demand curve: pushing too hard to increase one will likely decrease the other. The ‘sweet spot’ (optimal operating condition) is somewhere in the middle, not at either one of the extremes. OR seeks to find the optimal solution in these complex multi-dimensional decision spaces, which are ubiquitous in organizations. It’s not always easy to anticipate the future when you’re busy with the here and now. However, like steering a ship, it takes time to change direction. Of course, that begins with knowing where you are going—setting your goals. By identifying the resources you’ll need to reach your goals and achieve your desired future outcomes, you can begin with incremental changes and start to prioritize—or make bigger moves and reorganize to take advantage of areas where you already have strong capabilities. I am part of an organization that recognized that a niche capability in the early 2000s could play a much larger role. The firm worked on that initiative for nearly 10 years before it turned into a revenue stream, but without the vision, we never would have arrived at all. Innovation starts from within. It requires you to invest heavily in talent, recognizing that analytics-driven cultures are fueled by top-tier talent given the opportunity to apply their tradecraft. Investing in talent doesn’t always mean bringing in big stars. Sometimes it means finding the stars within and helping them shine. 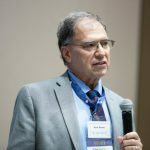 A focused effort on developing the knowledge base needed for the future (see Best Practice #1) might range from basic programming and computation skills to advanced OR, data engineering, and data visualization. It’s an ambitious initiative with the power to impact productivity, engagement and even retention. Once you’ve named your goal and committed resources, you’ll need a leader who champions transformation at every opportunity. Naming a CTO is a line in the sand—a true commitment to data-driven decision making and operations that foster emerging, innovative ideas. In other words, it shows you’re serious. A CTO is in the position to drive groundbreaking change and culture efforts, ensure agility, and expand pockets of excellence to company-wide operational changes. use predictive modeling for business development to prioritize target markets. The point? You can use your growing internal resources for your own optimization to become a forward-leaning organization that utilizes OR to shape your future. Part of professional development is creating opportunities and space for employees to utilize their new-found skills. Unlimited opportunities for this exist right in your communities. By harnessing the collective passions of your people, you can create platforms and contribute to projects which have the power to change the world. This outreach can take many forms, from thought leadership, to pro bono support to non-profits, to founding community initiatives. OR is a process. No organization instantly becomes adept at analytics. There may be times when the path ahead isn’t clear or it’s difficult to move forward. The INFORMS organization has resources to help [REF1], and the chart referenced below summarizes different types of organizations and their common hurdles along with advice to overcome those challenges [REF2]. 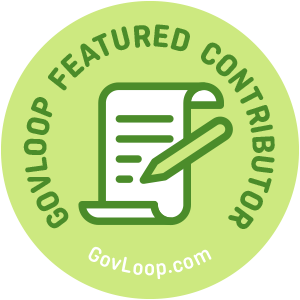 Dr. Kirk Borne is a GovLoop Featured Contributor. He is the Principal Data Scientist and an Executive Advisor at management consulting firm Booz Allen Hamilton since 2015. In those roles, he focuses on applications of data science, data management, machine learning, and AI across a variety of disciplines. You can read his posts here.